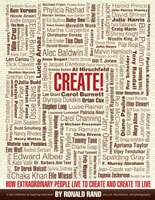 Artistic Director of “LET IT BE ART!,” U.S. Goodwill Cultural Ambassador, Fulbright Specialist/International Performing Artist, Director, Playwright. Mr. Rand has enjoyed immense response across 5 continents for 19 years performing his celebrated solo play, (LET IT BE ART! Harold Clurman’s Life of Passion) on five continents in 23 countries, 20 U.S. states, and 5 tours across India. In 2018, Mr. Rand represented the USA in the 8th Theatre Olympics performing to standing ovations in "LET IT BE ART!" in New Delhi's famed Kamani Auditorium and the Tagore Theatre in Thiruvananthapuram. He taught his Master Workshop, "Art of Transformation" at the National School of Drama, then performed to standing ovations in the Chevolek International Theatre Festival in Chelyabinsk, Russia, and taught master workshops at State Academies across Chelyabinsk. Mr. Rand performed LET IT BE ART! Off-Broadway in two critically-acclaimed runs (at the Century Center, and at the ArcLight Theatre presented by The Mirror Repertory Theatre). LET IT BE ART! has received ovations in London-Spiro Ark Theatre; Paris-Filmotheque Theatre; Kathmandu’s International Theatre Festival; Zimbabwe’s BAFA International Festival of the Arts (First American Artist); “Voices of History” International Theatre Festival-Vologda, Russia (First American Artist); SLAVIJA International Theatre Festival, Belgrade, Serbia; 2nd International Theatre Festival for Peace-Barrancabermeja, Colombia; San Vicente Cultural Center, Colombia (First American in a solo play); Athens-International Festival of Making Theater; Harquail Studio Theatre, Cayman Islands, British West Indies; Internationales Theatre-Frankfurt; Palace Dar El Majzen in the Casbah-International Intermediality Theatre Conference, Tangier, Morocco; XXVIII International Winter Festival, Sarajevo, Bosnia and Herzegovina; MERCOSUR International Theatre Festival-Paysundu, Uruguay; Patravadi Theatre-Bangkok; Kafka Theatre-Buenos Aires; Sehir Tiyatrolari-Eskisehir, Turkey; Kerala’s International CPRASSIS International Theatre Conference; Palace of Culture, Minsk, Belarus; National School of Drama’s Festival of Fame, Johannesburg, South Africa; Sri Aurobindo Auditorium, Auroville, India; Calicut University, Thrissur, Kerala, India; Indo-French Cultural Centre, New Delhi, India; Invisible Theatre-Tucson; Cyrano’s Theatre-Anchorage; Cape May Stage; Last Frontier Theatre Conference, Gonzaga University & Western Washington University. He began his acting career appearing in over 250 plays at a professional children's theatre in Florida. His Off-Broadway debut in Julius Caesar at the Brooklyn Academy of Music with Richard Dreyfuss and George Rose, was followed by numerous New York appearances including Hamm in Endgame, directed by Joseph Chaikin; the lead in Goldoni's The Liar; as the First Gravedigger in Hamlet; leads in several of Bernard Shaw's plays; and all three male roles in Perfect Crime for two years. Mr. Rand also toured for five months throughout Europe as the Fool in King Lear. Mr. Rand appeared as Sturdyvant in a sold-out run in The Classical Theatre of Harlem's production of Ma Rainey's Black Bottom, directed by Arthur French. His television appearances include: Milton Sterns in A Marriage - O'Keefe and Steiglitz on American Playhouse, opposite Jane Alexander & Christopher Plummer; Homeless with Yoko Ono; Law & Order; Saturday Night Live (for many seasons); and all of New York City's daytime serials. His film appearances include opposite Yoko Ono in her film, Homeless, opposite Sean Connery and Dustin Hoffman in Family Business, opposite Gene Wilder and Richard Pryor in Another You, The Jerky Boys. He was cast by Aaron Russo as President Richard Nixon in Rude Awakening, by Robert Redford in Quiz Show opposite Ralph Fiennes and Paul Scofield, and opposite Angelica Huston in When in Rome. Rand's television credits include as Milton Sterns in A Marriage: O'Keefe and Stieglitz opposite Christopher Plummer and Jane Alexander on PBS American Playhouse, an on PBS American Playhouse, and had roles on Guiding Light, All My Children, One Life to Live, and several seasons on Saturday Night Live in scenes backing up cast members Billy Crystal, Phil Hartman, Dana Carvey, and Martin Short. 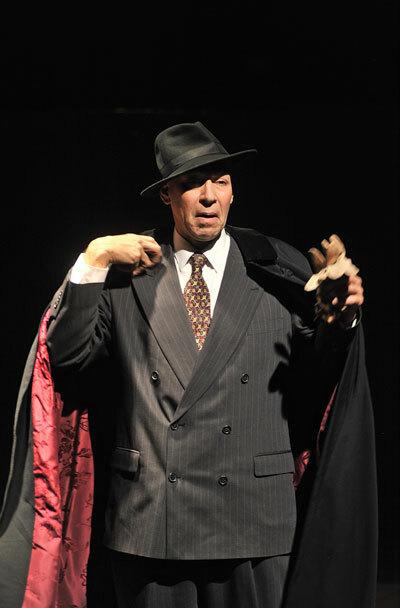 From 2005 to 2014, Rand appeared in Stan Tannen's TIPA Literary Programs across New York City with Ed Asner, Alan Bates, Brian Murray, Eli Wallach, Anne Jackson, Marian Seldes, Fritz Weaver, Richard Griffiths, Marcia Gay Harden, Betsy von Furstenberg and Tammy Grimes in tributes to Anne Frank, Abraham Lincoln, Herman Melville, Walt Whitman and great American speeches. He performed LET IT BE ART! in the 53rd MESS International Theatre Festival in Sarajevo, and was a Member of the Jury with Maurizia Settembri and Safet Zec. Chosen by the U.S. State Department as a Fulbright Specialist, in 2017, Mr. Rand became the 1st Fulbright Specialist to perform and teach at the Workshop Theatre of Paysandu, Uruguay. He taught a series of four 7 hour Master Acting Workshops on Stanislavsky’s “Method of Physical Actions” Chart, performed twice as Harold Clurman in his solo play, “LET IT BE ART!” to standing ovations, and became the first American director to direct a production of a special adaptation of Thornton Wilder’s Pulitzer-prize winning play, “Our Town” in Paysandu, performed in Spanish - a language he does not speak - with a company of Spanish-speaking actors at the Aras Theatre. He also gave a series of workshops at the English Family Institute in Paysandu to students ages 9-12, and ages 13-16. In 2015, Mr. Rand became the 1st Fulbright Specialist to teach at the University of Malaya’s Cultural Centre’s Drama Department for 6 weeks. He also became the 1st American Visiting Guest Professor/Performing Artist to be invited to teach and perform across Malaysia by the Malaysian Ministry of Culture, Arts & Tourism at their JKKN State Theatres in 3 states: Ipoh (Perak), Alor Setar (Kedah), and Kuala Terengganu (Terengganu). Mr. Rand also taught in Kuala Lumpur at Aswara National Arts, Culture and Heritage Academy and the Islamic International State University; Universiti Teknologi Mara in Shah Alam, Selangor; and at the Temple of Fine Arts Academy on the island of Penang. In 2013, Mr. Rand was chosen as the 1st Fulbright Specialist to teach at the University of Sarajevo’s Academy of Dramatic Arts, University of Tuzla’s Academy of Dramatic Arts, Mostar Theatre Mladih Academy, and at the Third Gymnasium in Sarajevo, Bosnia & Herzegovina. Prior to his visit in Malaysia, Mr. Rand completed his 4th Tour across India performing and teaching at Rangayana State Theatre in Mysore, Manipal University in Jaipur, in The Baptizer Festival at Christ University in Bangalore, Chilsag Chilies Acting Academy in New Delhi, and with the Auroville Theatre Group in Auroville. LET IT BE ART! has also received acclaim at The GIFT Festival-Tbilisi Georgia, Spiro Ark-London, Internationales Theatre-Frankfurt, Villanova University, Philadelphia, Jean-Claude van Itallie’s Shantigar Retreat-Massachusetts, Donald T. Oat Theatre-Norwich, Robert Wilson’s Watermill Center-Long Island, Central Florida Community College-Ocala, Orange Country Community College-Middletown, Actors' International Retreat Experience (A.I.R.E. )-Seabeck Conference Center-Seattle, New York City at Proshansky Auditorium, Martin E. Segal Theater Center, CUNY Graduate Center, The Players, Stella Adler Studio, William Esper Studio, T. Schreiber Studio, New Actors Workshop, Neighborhood Playhouse School of Theatre, Maggie Flanigan Studios, Sande Shurin Theatre, Penny Templeton Studio, Actors Movement Studio, and the Episcopal Actors’ Guild of America. He counts among his mentors: Jerzy Grotowski, Joseph Chaikin, Richard Schechner, John Strasberg, Sabra Jones, and Bobby Lewis. 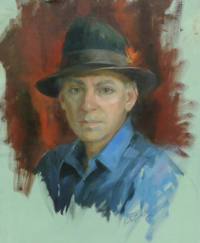 He also studied at London's Royal Academy of Dramatic Art. As a playwright, Mr. Rand's plays also include Ode to the Moon; Ziz, King of the Birds; The Site of Human Life; and The Group! about the life of The Group Theatre (World Premiere at Northern Illinois University). Mr. Rand wrote the libretto for a new opera, IBSEN, collaborating with the German composer, Hartmut von Lieres. He is currently writing a new feature film about The Group Theatre, and a new musical with Julien Touafek. The Group! also received the distinction of being chosen to appear in the York Theatre's New Play Series, as well as The Cherry Lane Theatre New Play Festival, and has also been seen at The Actors Studio, The Harold Clurman Theatre, Lambs Theatre, Stella Adler Theatre, Neighborhood Playhouse, and here at The Century Center. Mr. Rand is the Founder, Publisher & Editor-in-Chief of "The Soul of the American Actor," now in its 15th year of international circulation. It is the only free newspaper in America dedicated to the art and craft of the actor and the art of the theatre. As a producer, Mr. Rand has produced Off-Broadway Inigo Ramirez de Haro's controversial play “We couldn't call it what we wanted to call it so we called it Holy Crap!” At the Players in New York City, he also produced Libby Skala in "LiLiA! ", Janis Stevens in "Vivien," "An Evening with Vijay Tendulkar" (India's greatest living playwright a staged reading of Ty Jones' Emancipation, Vinie Burrows in Rose McClendon: Harlem's Gift to Broadway), John Rothman as "H.L. Mencken", Andrea Reese in "Cirque Jacqueline," and "An Evening of Exceptional Women Poets" with Ruby Dee, Irene O'Garden, Hasna Muhammad & Sandy Rochelle. Mr. Rand was an Adjunct Professor of Acting at Pace University in New York City for four years, and has taught at over 75 universities, festivals, conferences, and schools around the world, including Academy of Dramatic Art, Zagreb; Anadolu University, Eskisehir, Turkey; Belarusian State University, Minsk; Anupam Kher’s Actor Prepares, Mumbai; Kathmandu International Theatre Festival; R.K. Film & Media Academy, New Delhi; Espacio Blanco Leis Studio, Buenos Aires; New York University; Lousiana State University; Lycoming College; University of Alaska; Northern Illinois University; University of Missouri-Columbia; University of San Diego; Stella Adler Studio, New York City; Last Frontier Theatre Conference, Valdez; Great Plains Theatre Conference, Omaha; and Rustavelli State University of Theatre & Film, Tbilisi, Georgia. Across the nation “LET IT BE ART! 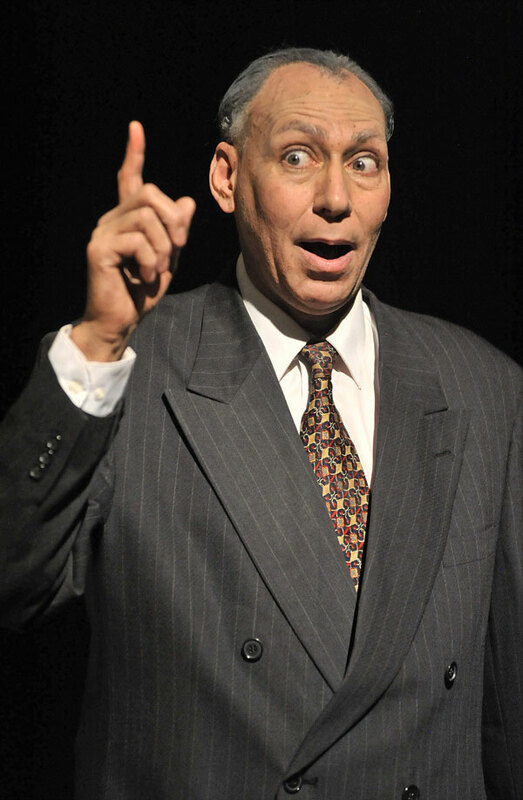 Harold Clurman's Life of Passion” has also received standing ovations at the 13th Annual Frontier Theatre Conference (Valdez, Alaska), Governor’s School for the Arts (Norfolk, Virginia), Northern Illinois University (Dekalb, Illinois), University of the Arts & Villanova University (Philadelphia, Pennsylvania), Vaudeville Muse Theatre (Des Moines, Iowa), and as a special presentation at The New England Theatre Conference’s Annual Convention (NETC) in Bedford, New Hampshire. Mr. Rand starred in LUV at The Barnstormers Theatre, and has appeared at the Greensboro Arts Alliance Summer Stock Theatre in Vermont as the Stage Manager in Thornton Wilder’s Our Town, Captain Keller in William Gibson’s The Miracle Worker, as Polonius in Hamlet and in Tom Stoppard’s Rosencrantz and Guildenstern are Dead. He studied with Stella Adler for over 5 years, receiving a B.F.A. in Acting at NYU's School of the Arts, and was also fortunate to have studied with Harold Clurman. Mr. Rand is an Artistic Advisor to the Mirror Repertory Theatre and the American National Theatre. LAURA GALE (Dramaturg of Educational Guide for Teachers on website), is a co-founder of Theatre Artists Collective (tac@tac-nyc.org) and also spent several years working as a resident artist at Ensemble Actors' Theatre, a company she co-founded to explore the actor's creative process within a permanent ensemble of young artists. 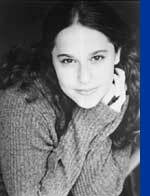 Laura trained at New York's Circle in the Square Theatre School and holds degrees in Theatre and Sociology from the Ohio State University, where her study of the history of American acting eventually led to her extensive research on Clurman and the Group Theatre. In New York City she has worked in casting at MTC and as part of the administrative team at The Mint Theater. Ms. Gale is delighted to be involved in this exciting project, which offers students, the theatre leaders of the future, such a tremendous opportunity to become informed about and inspired by a great leader of the past.